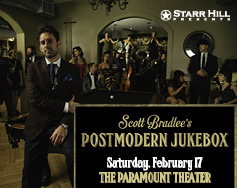 No matter what’s on their wishlist this holiday season, The Paramount has the perfect event for everyone in your life! 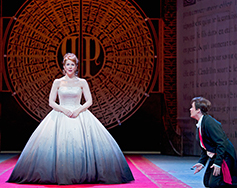 Check out our holiday gift guide and share the magic of The Paramount with your loved ones. 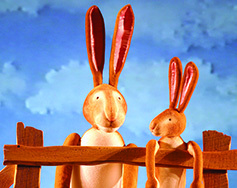 The beloved childrens’ stories Guess How Much I Love You by author Sam McBratney and illustrator Anita Jeram & I Love My Little Storybook by Anita Jeram come to life on The Paramount’s stage in Mermaid Theatre of Nova Scotia’s delightful adaptation for our youngest audience members and those young at heart. This whimsical menagerie showcases the imaginative blend of evocative music, stunning visual effects and innovative puppetry that have earned Mermaid Theatre international acclaim. 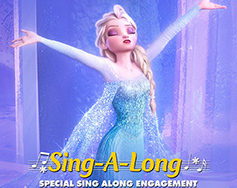 Don’t hold it in – Let It Go and belt it out with an interactive Frozen Sing-A-Long on the Big Screen! Inspired by Hans Christian Andersen’s fairy tale The Snow Queen, the film tells the story of a fearless princess, Anna (Kristen Bell) who sets off on an epic journey alongside a rugged iceman (Jonathan Groff), his loyal pet reindeer and a naive snowman (Josh Gad) to find her estranged sister, Elsa (Idina Menzel), whose icy powers have inadvertently trapped the kingdom in eternal winter. PARAMOUNT PRESENTS: GO, DOG. GO! Go, Dog. Go! brings the adventures of P.D. 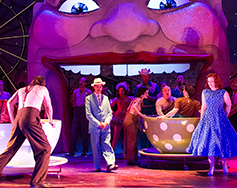 Eastman’s classic book to life in a frolicking musical dog party. 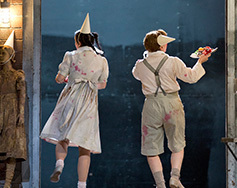 The cast of this beloved children’s favorite has gone to the dogs-with cars, hats, audience participation, and even a wild game of ball. Celebrating and exploring the words and pictures within the book, Go, Dog. Go! 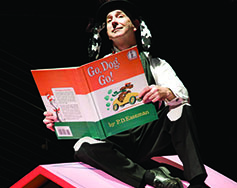 is a musical romp full of surprises, color, clowning, vaudeville, singing/barking, and of course, six lovable dogs! 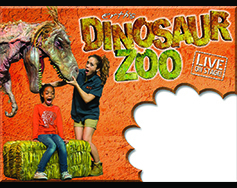 Erth’s DINOSAUR ZOO LIVE guides your family on a breathtaking tour that begins in pre-historic Australia. You’ll observe, meet, and interact with an eye-popping collection of amazingly life-like dinosaurs and other creatures presented in a theatrical performance that will thrill and entertain kids while stimulating their imaginations in ways that will forever connect them to their world. Brought to life by a team of skilled performers and puppeteers, and designed with the help of professional paleontologists, Erth’s DINOSAUR ZOO LIVE’s puppets are so extraordinarily realistic you may feel the urge to run and hide – but don’t! PARAMOUNT PRESENTS: THE GRUFFALO LIVE ON STAGE! Celebrate Mother’s Day with a Tea Party after the show featuring a special guest – the Gruffalo himself! 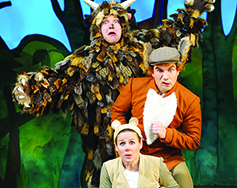 Join Mouse on an adventure through the deep dark wood in Tall Stories’ musical adaptation of the classic picture book by Julia Donaldson and Axel Scheffler. It’s a magical story that highlights values of courage and self-esteem, and illustrates the classic idea that the littlest and smartest can triumph over the big and brawny. Showcasing Tall Stories’ distinctive physical, visual performance style, The Gruffalo is full of songs, laughs, and hair-raising fun! 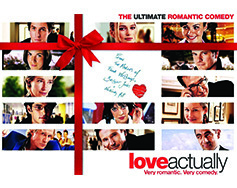 With a star-studded cast featuring Hugh Grant, Alan Rickman, Emma Thompson, Keira Knightly, and more, Richard Curtis’s Love Actually weaves the stories of eight couples together during the frantic month before Christmas. Love waxes and wanes; it changes and rearranges. These characters lives intertwine, and they’re all searching for the best Christmas gift of all – a little bit of love, actually. Elf is a Christmas comedy perfect for all ages! 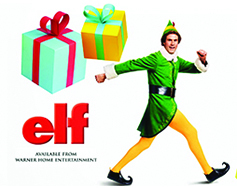 The story follows Buddy (Will Ferrell), a man raised as an elf in the North Pole. Buddy, after inadvertently wreaking havoc on the elf community, sets out on a quest to meet his father (James Caan), spreading Christmas cheer in a world of cynics all along his way. The movie also stars Bob Newhart (Papa Elf), Ed Asner (Santa), Zooey Deschanel (Jovie), Peter Dinklage (Miles Finch), and Mary Steenburg (Emily). Starting at the Theater at 5:00PM and making a three mile loop around the Downtown area, the Brew Run includes stops at Champion and Three Notch’d for a beer at each brewery before returning to The Paramount for Elf on the Big Screen at 7:00PM. 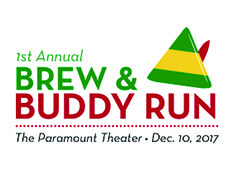 Registration fees for the run include a 2017 Brew & Buddy Run souvenir cup, one free pour at each participating brewery, $1.00 off beer purchase at The Paramount’s concessions, and admission to the 7:00PM presentation of Elf. The Brew & Buddy Run will take place snow, rain, or shine! Please note, there are a limited number of registration spots and we do expect to sell out. Two World War II buddies, Bob (Bing Crosby) and Phil (Danny Kaye) create a top song-and-dance routine that really wows the crowds. 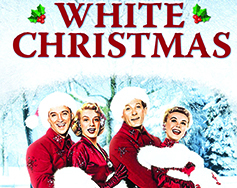 They cross paths with two beautiful sisters (Rosemary Clooney and Vera-Ellen) who also perform a song-and-dance act. Smitten with the sister act, Bob and Phil follow the duo to an inn in Vermont, which they find is owned by their former commanding officer (Dean Jagger). 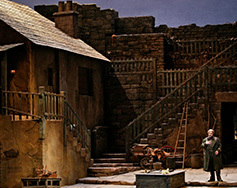 Realizing the inn is failing, the foursome perform a musical extravaganza to save the business. President Andrew Shepherd (Michael Douglas), widowed and nearing the end of his first term, is all but guaranteed re-election. 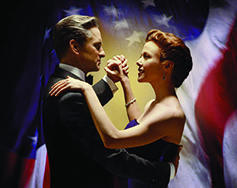 But Shepherd’s approval ratings drop when he falls in love with lobbyist Sydney Ellen Wade (Annette Bening), and a rival candidate uses the relationship to his advantage. 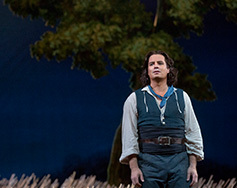 Soon Shepherd finds himself choosing between his career and his newfound love. Starring Jeff Bridges as Jeffrey “The Dude” Lebowski, The Big Lebowski is an American classic written and directed by the Coen brothers. 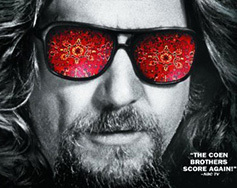 When The Dude is mistaken for a millionaire, he is commissioned to deliver a ransom for the real Lebowski’s kidnapped wife – but his plans are disrupted by when scheming friend Walter Sobchak (John Goodman) plots to keep the ransom money. 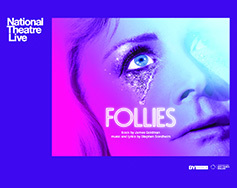 Also featuring Julianne Moore and Steve Buscemi, the star-studded film includes supporting roles by John Turturro, Philip Seymour Hoffman, and David Huddleston. 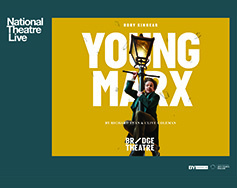 Celebrate this Christmas with the experience taking North America by storm! Marking the 25th North American Anniversary Tour in 2017, Moscow Ballet’s Great Russian Nutcracker features over-the-top production values and world class Russian artists. 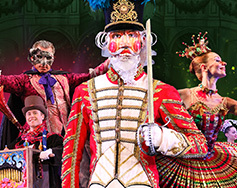 Larger than life puppets and nesting dolls, and gloriously hand-crafted costumes bring the Christmas spirit to life. AND PLAN FOR THE WHOLE 2017-18 ROYAL BALLET IN HD SEASON! 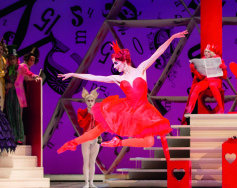 Join Charlottesville Ballet for a special 10th Anniversary Production: A Decade of Dance. 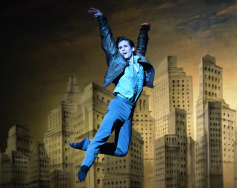 Charlottesville Ballet presents its most treasured works from the repertory alongside newly commissioned pieces that showcase the Ballet’s vision for the future of dance. 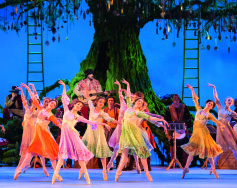 The program will include highlights from the Ballet Le Corsaire including the Grand Pas de Deux and the Odalisques Pas de Trois. 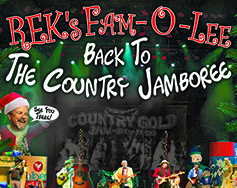 Starr Hill Presents welcomes Robert Earl Keen to The Paramount Theater for a special holiday presentation of Fam-O-Lee Back To The Country Jamboree Show! Keen has blazed a peer, critic, and fan-lauded trail that have earned him living-legend and keeper of the flame status in Americana music. With 19 albums under his belt, Keen’s latest recording, “Live Dinner Reunion”, recorded at Floore’s Country Store celebrating the 20th anniversary of the quintessential No. 2 Live Dinner is the stuff of honky-tonk legend. A night that reminded us why we love live music! 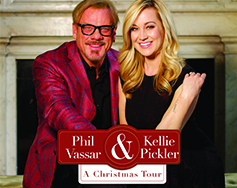 Lynchburg, Virginia native Phil Vassar returns to The Paramount with American Idol alum Kellie Pickler on their first joint tour! Don’t miss this live holiday event in support of their new original holiday single, “The Naughty List”! Imagine wandering into a nightclub somewhere on the outskirts of time. A classic jukebox in the corner plays timeless music with oddly familiar modern lyrics, incongruously marrying the 21st-century party vibe of Miley Cyrus or the minimalist angst of Radiohead with the crackly warmth of a vintage 78 or the plunger-muted barrelhouse howl of a forgotten Kansas City jazzman. The dance floor is full of revelers twerking in poodle skirts, while at the bar, well-heeled hipsters balance a martini in one hand with a smartphone in the other. 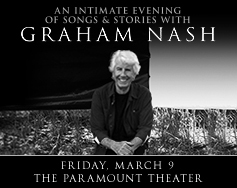 Towering above virtually everything that Graham Nash has accomplished in his first seventy-five years on this planet stands the litany of songs that he has written and introduced to the soundtrack of the past half-century. His remarkable body of work, beginning with his contributions to the Hollies opus from 1964 to ’68, including “Stop Stop Stop,” “Pay You Back With Interest,” “On A Carousel,” “Carrie Anne,” “King Midas In Reverse,” and “Jennifer Eccles,” continues all the way to This Path Tonight (2016), his most recent solo album. 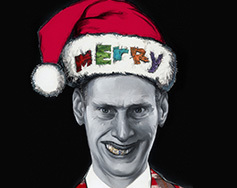 John Waters (Pink Flamingos, Hairspray, A Dirty Shame) will perform an unforgettable night of holiday mischief with his critically acclaimed one man show, A John Waters Christmas. Waters pokes fun at the holiday season with adult-appropriate humor, effectively “putting the X in Xmas,” developing a show for the open minded and slightly left-of-center audience. 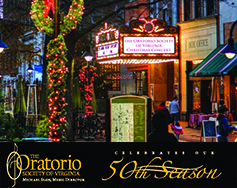 Join The Oratorio Society of Virginia for this beloved Charlottesville tradition and family favorite. Music Director Michael Slon conducts a 90-person chorus composed of some of the community’s finest singers. 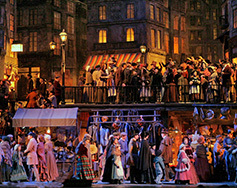 The Opera House, a new film by award-winning documentary filmmaker Susan Froemke surveys a remarkable period of the Metropolitan Opera’s rich history and a time of great change for New York. 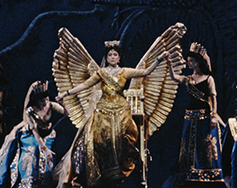 Featuring rarely seen archival footage, stills, recent interviews, and a soundtrack of extraordinary Met performances, the film chronicles the creation of the Met’s storied home of the last 50 years. 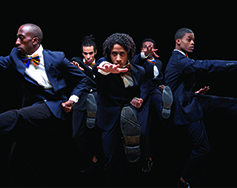 The Opulence of Integrity is a theatrical, multimedia ensemble work influenced by the public life and inner searching of boxing’s outspoken superstar, Muhammad Ali. Inspired by Ali’s career as a boxer and life as a social activist, public martyr, and human being, choreographer Christal Brown deploys her eclectic movement vernacular that includes elements of boxing, hip-hop, martial arts, modern dance, and theater to illuminate the turmoil of a life infused by divinity yet misinterpreted by humanity. DONATION ONLY TICKETS ALSO AVAILABLE. VISIT VIRGINIA-ORGANIZING.ORG FOR MORE INFORMATION. Mother of Heather Heyer and founder of Heather Heyer Foundation. Former congressman and special envoy. BELOVED COMMUNITY CVILLE PRESENTS: I’M NOT RACIST…AM I? I’m Not Racist…Am I? 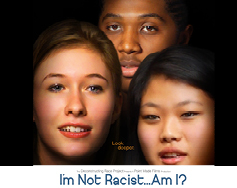 is a 90-minute feature documentary about twelve New York City teenagers who spend a year talking about racism (2014). The teens attend five intense workshops and have conversations over the course of the year. 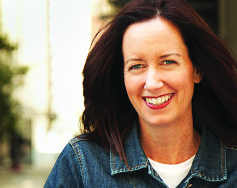 The year challenges their relationships with their friends, within their own families, and most of all, within themselves. 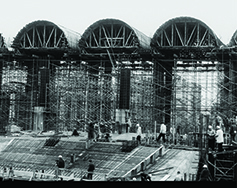 Join us after the screening for a discussion led by filmmakers Catherine Wigginton Greene and André Robert Lee.